Behind the success of Russia's modern submarine fleet, considered among the world’s strongest, lie decades of gruelling work that began long ago during World War II, when Soviet submarines held their own against enemy vessels. The Soviet submarine fleet was the largest in the world on the eve of WWII. It was twice as large as the U.S. fleet in terms of numbers, and almost four times the size of the Kriegsmarine, the German navy. Challenges placed before it, nevertheless, were rather narrow. The USSR’s geographical position, perforce, prevented it from fighting for supremacy in the oceans. The Soviet Union had only two entrances to the open ocean, but neither the North Pole nor the Far East presented the necessary opportunities to set up full-fledged naval infrastructure. What remained were only closed seas: the Black Sea and the Baltic Sea. It was believed after the beginning of the war that the Soviet navy would be able to strike enemy communications located in these regions. But the Soviet submarines could not compete with those from Germany, while the position of the United Kingdom (which then had the biggest fleet in the world) in the event of a war was unclear. The decision to develop the submarine fleet was therefore very logical. Relatively low production costs helped create a powerful force, capable of playing an important role in the war's naval battles. One contemporary Russian historian claims that in terms of the number of German subs sunk, the Soviet Navy outdid all its Western allies. Gennady Drozhzhin, in his 2004 book ‘Asy Podvodnoi Voiny’ (“Aces of the Underwater War”), writes that out of the nine active Kriegsmarine submarines sunk, four were destroyed by Soviet subs. Bona fide underwater duels were fought between the seamen. The theatres of war were the cold waters of the Baltic and Barents Seas. In this underwater war, the Soviet Navy won a close victory, destroying four subs while losing three. 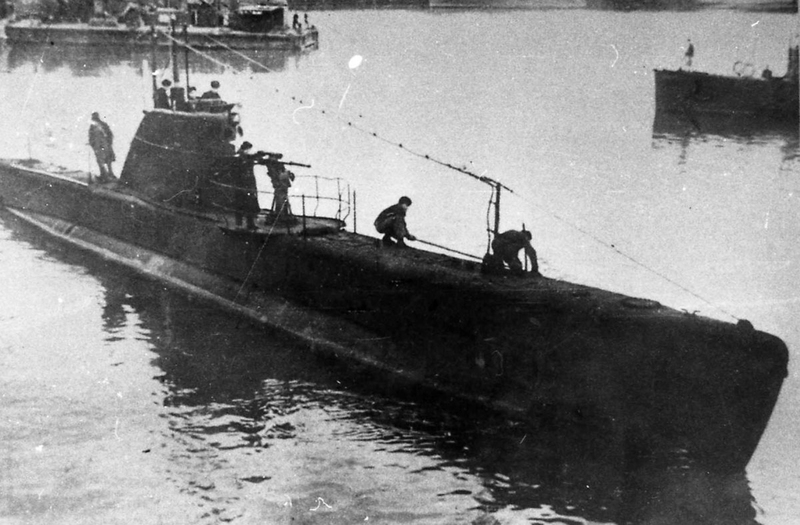 The day after Germany invaded the USSR, a German U-144, using its superior armaments, sank a Soviet M-98 sub, only to meet the same fate a month and a half later. Off the coast of Estonia a Soviet ‘Schuka’-class submarine fired two torpedoes and obliterated the German vessel. Two years later another duel ended with a Soviet victory: Three Soviet torpedoes struck a German U-639 sub that was laying mines on the surface in the Barents Sea. Although the Soviet submarines were quick and effective in the battles of WWII, the ‘Malyutka’ series submarines could not really be described as serious weapons. While they were compact and could therefore be transported on railways, they were not comfortable for the crew, even though the crew could adapt to this. But most importantly, they were not safe. The sub had only one firing installation, it was not sturdy enough to submerge to a depth that was required for battle and a heavy storm could break it in half. Amazingly, however, it was the ‘Malyutka’ that became the most effective Soviet sub during WWII. They were responsible for destroying more than 60 enemy transport ships and eight combat vessels. The crew's training compensated for the sub’s technical insufficiencies and allowed them to achieve impressive results. The Soviet ‘Srednyaya’ (S) series submarine was a novelty for its time. It could not employ all its combat potential on the compactly mined shoals of the Baltic Sea, but what it did, it did remarkably. Paradoxically, the prototypes for the S-series submarines were German equivalents, but the Soviet subs altered the original design, adapting it to Soviet equipment and armaments. The result was a universal submarine, with enormous potential, illustrated by the incredible fact that one S-series submarine was attacked with depth charges hundreds of times and not damaged even once.